Civil lawsuits have officially been filed against former Dallas officer Amber Guyger and the City of Dallas as well. 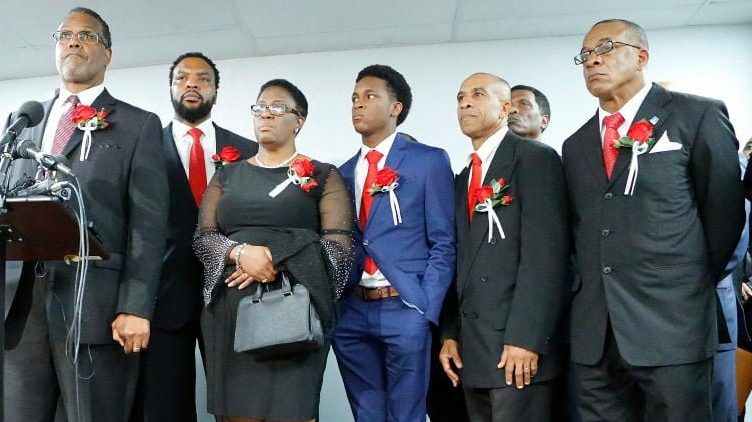 The family of Botham Jean, the unarmed black man who was shot and killed in his own apartment by a white former Dallas Police officer last month, filed a federal civil lawsuit last Friday. 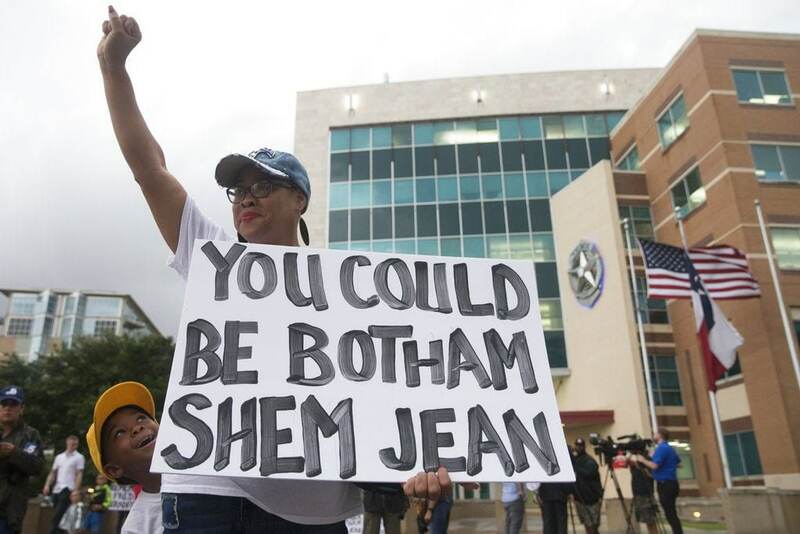 The suit was filed by attorney Lee Merritt, one of the lawyers representing Jean’s family and it lists Jean’s parents, Bertrum and Allison Jean, as plaintiffs while former officer Amber Guyger and the City of Dallas are defendants. Officer Guyger has shot a man under questionable circumstances before the incident with Jean. On May 12, 2017, Guyger shot and wounded Uvaldo Perez while she was on duty. An affidavit in that case said that police were looking for a suspect when Guyger and another officer were called to assist. Perez got out of a car and allegedly became combative with Guyger. A struggle ensued, and she shot Perez after he allegedly wrestled her Taser away from her. According to the lawsuit, Guyger was not charged nor was she required to receive any mental counseling. Merritt plans to make Guyger accountable for Botham Jean’s death. Just days after killing Jean, Guyger was arrested and charged with manslaughter and has since been fired from the Dallas Police Department. The lawsuit contends the department did not adequately train Guyger and Merritt believes that the department has actively sought to minimize and cover up the shooting. Merritt points out the involvement of the Texas Rangers, which consciously came in tandem with the leaking of evidence that began a week after the shooting. He believes it to bee an attempt to cast the victim, Jean, in a criminal light and justify Guyger’s killing of him. Merritt said that getting the trial out of Dallas County could help spare Guyger and he cites recent history as proof. Roy Oliver, the former Balch Springs police officer, is that man. He was convicted of murder last month in the killing of 15-year-old Jordan Edwards and sentenced to 15 years in prison. Merritt represented Edwards’ family in that case. “[Convicting a cop] still a very rare thing, but if it has any chance in the state of Texas, it has to take place in Dallas County,” he said. Dallas Police have declined to comment on the suit, which is seeking undisclosed damages. Merritt said that Jean’s family is going over just how much of an economic loss Botham’s death has caused. Jean was an associate at PriceWaterhousecoopers and lived an “exemplary” life, according to Merritt, and he had bigger dreams before he was cut down in the prime of his life in the middle of his home. Merritt sees Jean’s death as a part of a greater conversation about officer-involved killings and sees where it could become an international topic of discussion, considering Jean was born in St. Lucia. Regardless of how the criminal and civil cases shake out, Merritt and the family plan to push this further. Merritt says his main frustration comes with how accustomed this country has become to these types of killings. It’s a problem that, as Merritt sees it, that is American as apple pie. Jay Scott Smith is an award-winning broadcaster, writer and also the host of JSCRadio. He has written for Newsweek, NPR, MSNBC, ESPN, and VIBE Magazine.